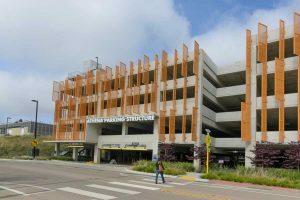 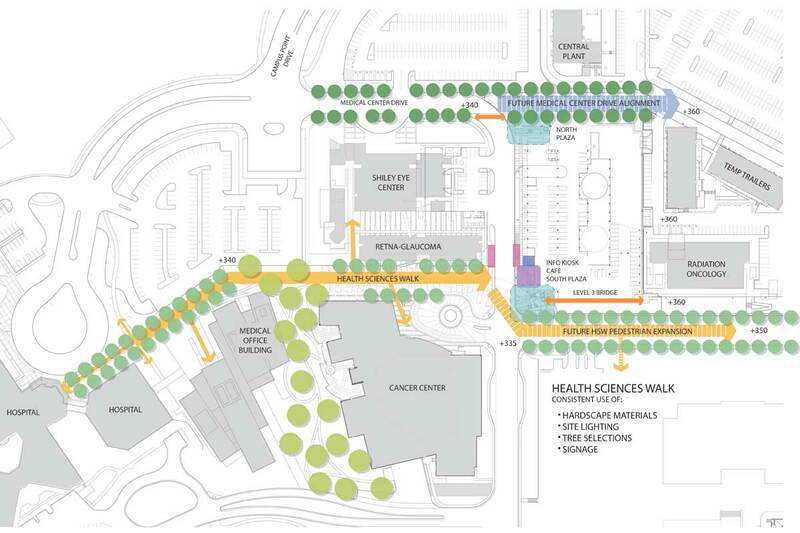 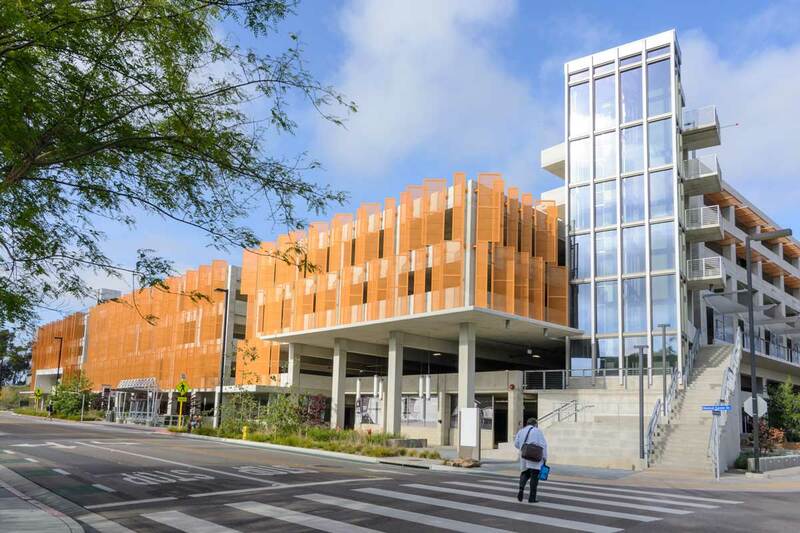 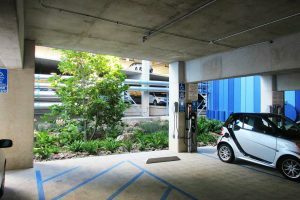 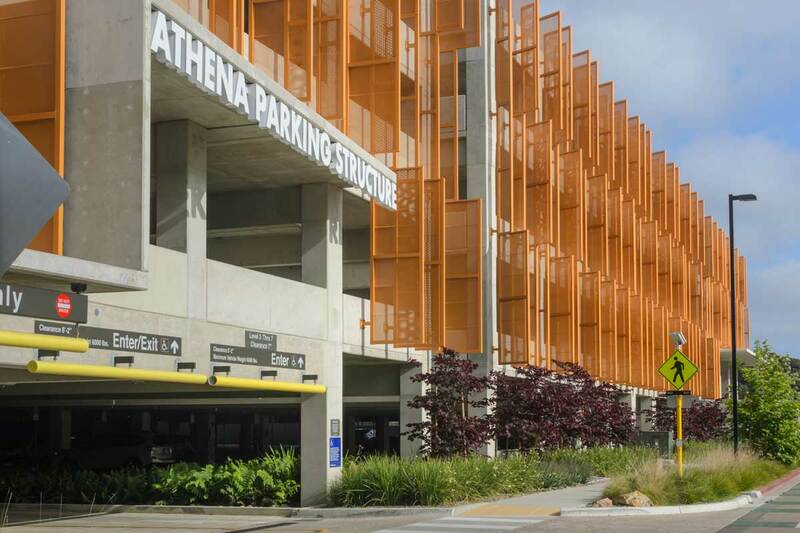 Studio E Architects + IPD and landLAB teamed up for a design-build competition with McCarthy Construction for a new parking structure at the UCSD campus. 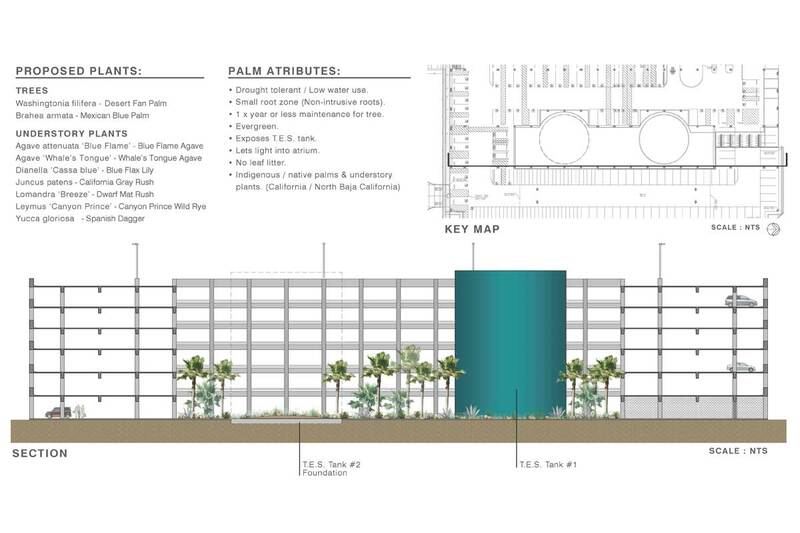 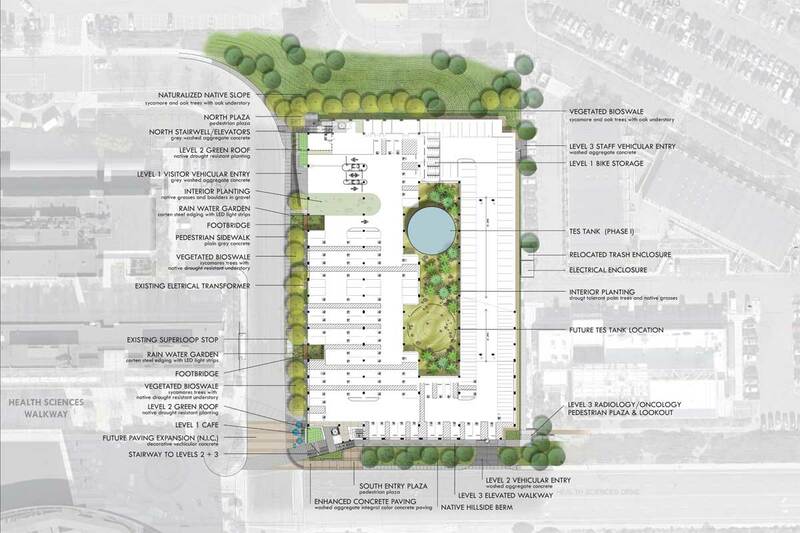 The objective was a 1200 car parking garage on a thigh site that must incorporate two 250-foot diameter Thermal Energy Storage tanks. 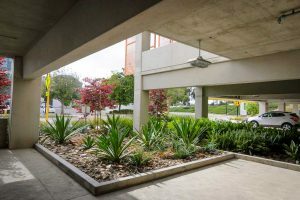 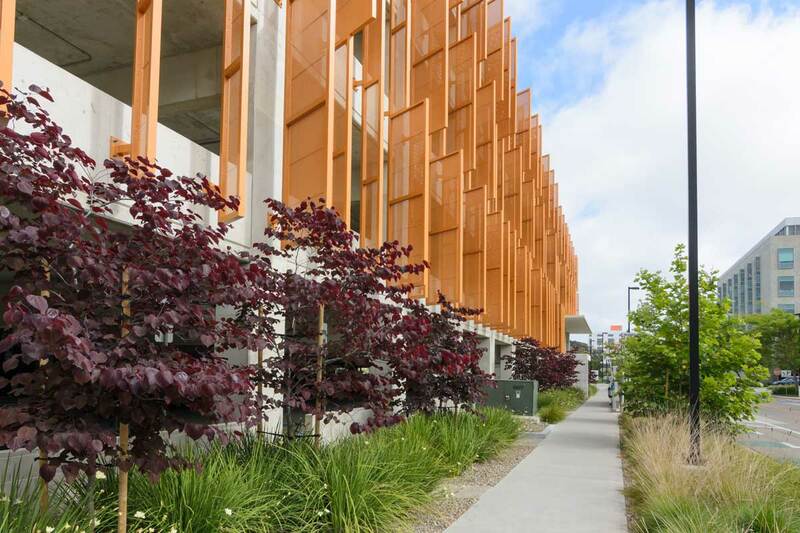 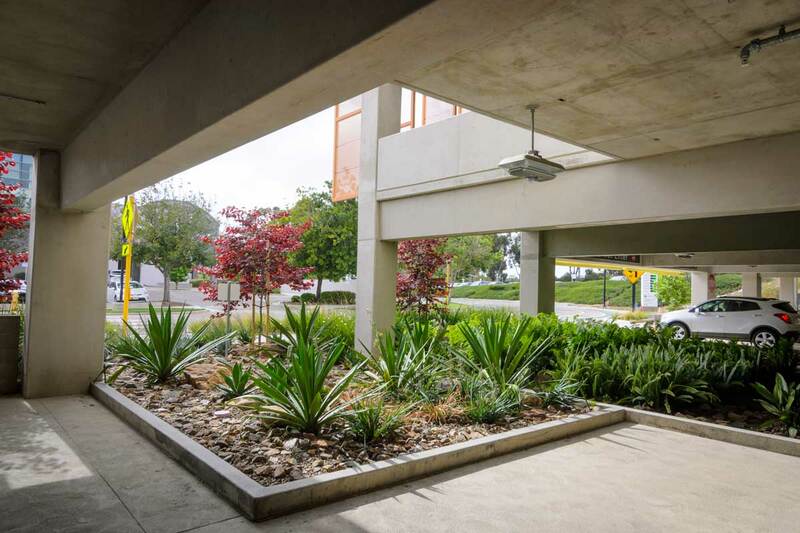 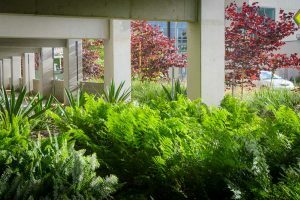 Some of the outstanding features include capturing and filtering the storm water runoff through planted bioswales captured in underground storage tanks and overflow funneled into two, 100-foot deep dry wells. Other sustainable features include solar arrays and thermal energy storage (T.E.S.) 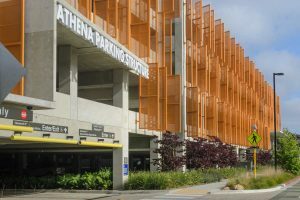 tanks. 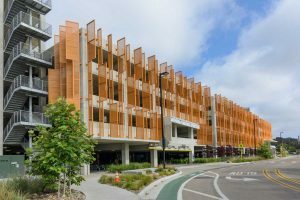 The team was the selected winner of 3 design-built teams short-listed for this project.